Points West Living Slave Lake residents gather regularly to listen to stories; then they go to the community courtyard to fill bird feeders. One day in the last week of May, that pleasant routine got a bit of a nudge. The bird feeders were full, so Recreation Therapist, Hannah Kaupp got creative, and so did the residents. Hannah’s ‘Bird Tales’ usually shares stories about birds and incorporates a collection of Audubon plush birds that give realistic calls when squeezed. This time, she brought in some birdhouses for residents to paint, oranges to make natural feeders, and of course, lots of bird feed. 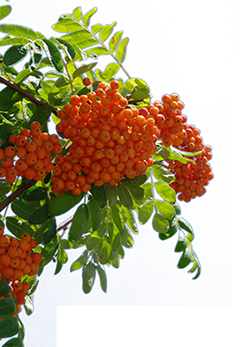 The residents did a fine job painting the houses, and creating the new feeders, and since refilling the bird feeders is a highlight, the new feeders are sure to be topped up and attracting new birds throughout the summer. 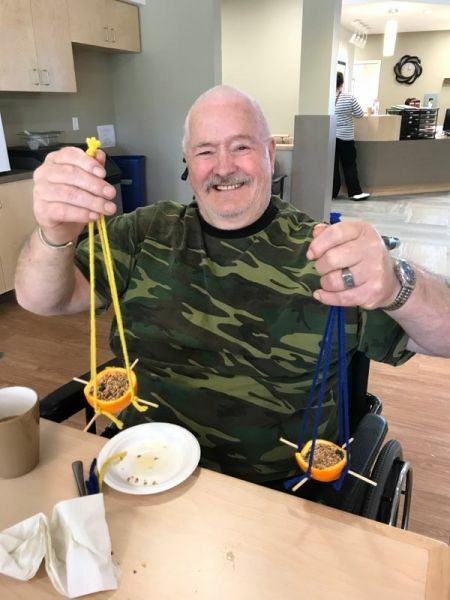 Photo: PWL Slave Lake resident, Alden Gordon shows of his two orange-cup bird feeders.